Samuel Morse was a polymath who studied mathematics and science at college supporting himself selling the works of art he painted. He became a renowned artist and took part in the invention of the telegraph. Samuel Finley Breese Morse was born on April 27, 1791 in Charlestown, Massachusetts, USA. His father was Jedidiah Morse, a geographer, author, and Calvinist pastor who moved in prominent circles and was a friend of George Washington. His mother was Elizabeth Ann Finley Breese. His parents had eleven children, only three of whom survived infancy. Their eldest child is the subject of this article and, although he is now generally known as Samuel Morse, they knew him by his second name, Finlay. The house Samuel Morse was born in. 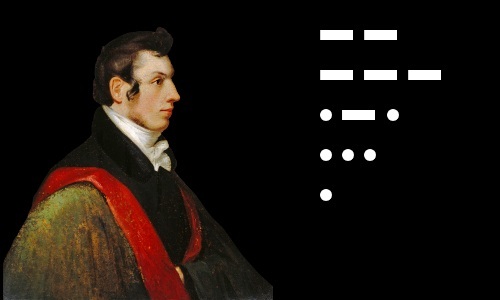 Samuel Morse received his schooling as a boarder at Phillips Academy in Andover, Massachusetts, from where, age 14, he proceeded to Yale College in New Haven, Connecticut in October 1805. From early childhood he had drawn pictures for pleasure. Now he blossomed as an artist, helping fund his education by selling paintings. He did not charge his friends for portraits he painted of them. 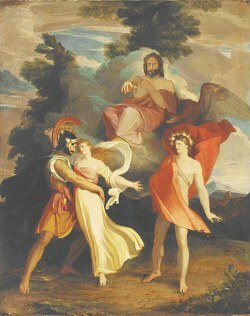 As a student in London, Morse painted The Judgment of Jupiter. It now hangs in Yale University’s Art Gallery. At Yale he studied a broad curriculum including Chemistry, Natural Philosophy (Physics), French, Greek, Geometry, and Geography. His fellow students gave him the nickname “Geography.” He wrote at the time about how he found the subject of electricity particularly interesting. In 1810, age 19, he graduated from Yale with Phi Beta Kappa honors from the most prestigious of America’s honor societies. In 1811, Morse entered the Royal Academy of Arts in the United Kingdom’s capital city, London. He studied Renaissance art and created his own works of art. He returned to America in 1815 and became a highly successful artist, painting prominent citizens such as the former US President & Founding Father John Adams. In 1826, age 35, he helped found New York City’s National Academy of Design, serving as its president from 1826 – 1845 and 1861 – 1862. In 1825, Samuel Morse was in Washington, D.C. painting a portrait of the Marquis de Lafayette when a horse messenger delivered a letter telling him his wife had died – Morse immediately returned to his home in New Haven to find she had already been buried. This experience left him with a determination to speed up long distance communication. In 1830, in Albany, New York, Joseph Henry discovered that utilizing high voltages allowed him to transmit electrical current over larger distances than previously possible. In a moment of inspiration, he realized he could combine this discovery with an electromagnet – Henry was also a brilliant early pioneer of electromagnetism – to transmit a signal. His students at Albany Academy gathered around a bell and saw Henry cause it to ring from 1000 feet (305 meters) away. The electric current traveled along 1000 feet of wire, activated an electromagnet, which attracted a metal pivot, ringing a bell. With more work Henry extended the transmission distance to about a mile. Henry had demonstrated two potentially useful new devices: the telegraph and the doorbell. He did not attempt to patent these – he thought of himself as a pure scientist, not a financially driven inventor. In 1832, returning from a trip to Europe, Morse met Charles Thomas Jackson, who demonstrated an electromagnet to him. This was when Morse, ever mindful of arriving back in New Haven to find his wife already buried, first had the idea for a telegraph. The telegraph Joseph Henry demonstrated at Albany could not work over the long distances required for a fully practical telegraph, but Henry overcame this problem. The key to longer distance transmission was a device called a relay. A relay is a switch that is opened or closed by an electromagnet. In a telegraph line, a relay takes a signal arriving from one circuit and re-transmits it to another circuit; in this way a long telegraph line can be made up of much shorter, individually powered lines, each linked by a relay. Henry demonstrated a primitive relay to his students at Albany, but he did not publish any details. Professor Leonard Gale, a chemistry teacher at Albany, passed news of Henry’s relay to Samuel Morse. In 1838, with the help of Gale and Alfred Vail, Morse devised and introduced more sophisticated relays at frequent intervals in a wire line and sent a message ten miles (16 km). For several years, Morse was unable to get funding to scale up his system. However, in 1843, Congress finally approved $30,000 to build a 38-mile (61 km) telegraph line along the railroad between Washington, D.C. and Baltimore. On May 24, 1844, Morse sent the message, “What hath God wrought,” from Washington to Baltimore. His system could transmit thirty characters a minute. Within six years, the United States had 12,000 miles (19,000 km) of telegraph lines in operation. 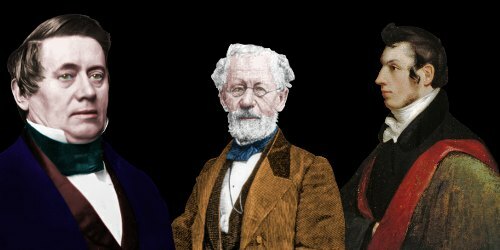 Just as the telegraph would convey information from one place to another, Leonard Gale (center) conveyed information about relays from Joseph Henry (left) to Samuel Morse (right). In order to send messages along the wire, Morse devised a code in which each letter in the alphabet was represented by a particular number of electrical clicks. The codes were sent as electrical pulses of different lengths. The code was improved by Morse’s assistant and financial backer Alfred Vail. Morse wanted his telegraph system to deliver a permanent message. It did so in the form of permanent indentations – dots and dashes on a paper tape. 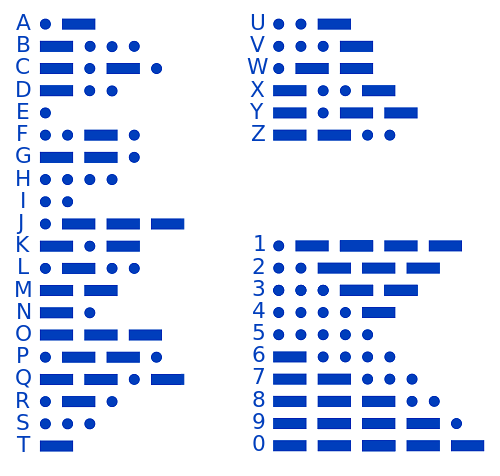 The International Morse Code, developed from the original code of Morse and Vail. Morse was awarded patents for his invention in a number of countries. However, his claim to have invented the telegraph was often ignored, so he did not receive the royalties he ought to have. In 1854, 10 years after Morse transmitted his famous message from Washington to Baltimore, The United States Supreme Court decided he was entitled to a monopoly. The monopoly applied only to one aspect of his invention: repeater circuitry, in which a relay takes a signal arriving from one battery-powered circuit and re-transmits it to another battery-powered circuit. The use of individual battery-powered circuits connected by relays allowed a message to be transmitted over large distances with minimal degradation of the signal strength. With the Supreme Court’s decision, Morse began receiving royalties and became very wealthy. Morse was a strong supporter of Protestant Christianity and a fierce opponent of Roman Catholicism. He campaigned to restrict the immigration of Catholics into America. He did not oppose slavery. A wealthy man, he donated large sums to causes he supported, such as the founding of Vasser College for women in 1861: he was a college trustee from 1861-1872. Morse also financially supported Yale College, Protestant churches and Bible societies, and struggling artists. 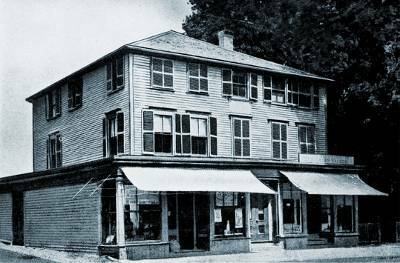 Morse married Lucretia Pickering Walker on September 29, 1818, in Concord, New Hampshire. They had three children: Susan, Charles, and James. Lucretia died shortly after the birth of James in February 1825. Morse married Sarah Elizabeth Griswold on August 10, 1848. They had four children: Samuel, Cornelia, William, and Edward. Samuel Morse died, age 80, in New York City on April 2, 1872. He was buried at Green-Wood Cemetery in Brooklyn, New York. "Samuel Morse." Famous Scientists. famousscientists.org. 18 Mar. 2018. Web.